Online social media marketing is an extremely effective way to grow your business. But, in today’s hyper-busy, information-overloaded world, how do YOU create stunning content that a) REACHES your audience, b) APPEALS to your audience, and c) gets your audience to take ACTION?! The power combo of compelling visual CONTENT + savvy social media MARKETING is by far one of the best ways to rise to the top in your marketplace. How To Create Awesome Social Media Visual Content That Gets Results! How to increase your following with the right combination of stand-out social media posts + enchanting engagement! Guy Kawasaki and Peg Fitzpatrick bring their experiences building a social media following of more than eight million people and running the social media initiatives of online graphics company Canva. They will share the tactics and best practices for crafting the perfect, most effective social media posts. To derive consistent measurable results from your social media activity, you need a rock solid CONTENT strategy + an enticing ENGAGEMENT strategy + a proven CONVERSION strategy. You need all three components in this order to get the right results. Whether your preferred social channels are Facebook, Twitter, Instagram, Pinterest or Google+ (or LinkedIn! ), you’ll walk away from this exciting new webinar with a TON of actionable tips, tricks and ideas to immediately BOOST your online brand, reach and profits. Join me for this fresh approach to social media success. It all starts with the right strategy and I’ll be lifting up the hood, sharing my own in-house processes, systems, check-lists that I use and share with my clients. Enter your name and email in the box above or below and get instant access to the REPLAY! Guy Kawasaki is currently the chief evangelist at Canva, and previously held that role at Apple. He is the author of APE, What the Plus!, Enchantment, and nine other business books. Peg Fitzpatrick is the Head of Social Strategy for Canva, an online service for graphic design. She is the co-author of an upcoming book called The Art of Social Media with Guy Kawasaki. She is an expert in the tactics of using social-media as a marketing platform. 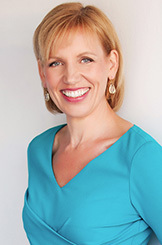 Often referred to as “the Queen of Facebook”, Mari Smith is considered one of the world’s foremost experts on Facebook marketing and social media. She is author of The New Relationship Marketing and coauthor of Facebook Marketing: An Hour A Day. Fast Company describes Mari as, “A veritable engine of personal branding, a relationship marketing whiz and the Pied Piper of the Online World.” Forbes named Mari one of the Top Social Media Power Influencers for the past three years in a row.